A friend and I were chatting one night, catching up on things and the conversation turned to our usual wistful, wishful discussion of how life was really going. You know, the real conversation that occurs when we get beyond the superficial stuff. And once we had the stuff about our hair, makeup, latest diet out of the way, we got down to the nitty gritty. “How are you? Really?” we asked each other. When you’ve been friends a while you know there are often things that go unsaid. I understood exactly what she meant. Different. She thought by the time she hit 40, life would be different. I had thought so myself. In fact, when I was younger, I thought by the time I hit my 40’s – which, when I was younger, I thought was some ancient age – I would have acquired all the success I could handle and would be sitting somewhere, content with life. No, I wasn’t drinking, either. I was in my late teens when I had this delusion. A professor once told me frustration is when our expectations and our realities are not jelling. If that is the case, consider me frustrated. Make that a lot of us. When I graduated college, I thought there was nothing I couldn’t do. I was going to do great things, set the world on fire. I see that hope, inspiration, motivation in young people now when they graduate, thinking it will be them that change the world. Not that life is bad. It’s not – life has a wonderful, beautiful way of putting us where we need to be sometimes. It’s just that somehow along the journey, we realize we get off track towards our hopes and dreams. Those things we thought we’d achieve, do, accomplish – the great American novel, the rock n’ roll album, the wild, crazy dreams – never get fulfilled. And we settle for things that are far less than those dreams. We settle for jobs that pay the bills instead of feed our souls. We settle for situations that really don’t make us happy. We settle for lives of quiet desperation, fueled by unfulfilled dreams that leave us yearning for things we think are so out of reach. The great secret, I told my friend, was that really no one’s life has gone the way they wanted – for the most part, anyway. There may be a few that did but more than likely, they all had something that wasn’t perfect, some area of their life that didn’t turn out quite how they wanted. “Settle,” we said in unison. I thought long and hard before I responded. Other than having some issues with forgiveness or my inability thereof, I wouldn’t change anything. Sure, there were mistakes. I learned from them. Yes, there were opportunities I didn’t take that would have been really, really incredible – and would have maybe given something more substantial towards retirement than the $1.75 I have lingering somewhere. And sure, a lot the experiences and circumstances brought heart ache, disappointment, and made me feel devastated. They didn’t all get me closer to my dreams, or even put that much money in my bank account. But they all made me me. Just like the detours and experiences in my friend’s life had made her beautifully her. We had grown up and thought we deserved the mediocre jobs and the fake relationships. We thought we deserved to be talked to harshly and treated poorly and even worse, thought it was okay. “So how do we change this?” she asked. We both were out of wine and the conversation had gotten far more serious than Malbec can handle. We start acting like we do deserve better and go after it with the same optimism and foolish belief we can do anything we set our minds to. We take the life we have, and we make it the very best it can be. Because just because life doesn’t turn into the fairy tale we thought it would be, doesn’t mean it is still not something amazing. When I was single, a friend suggested I sign up for an online dating service. Given some of the folks I had encountered just in my daily goings about, I could only imagine who I would end up on a date with. I shuddered at the thought. During my week-long employment at the Piggly Wiggly one summer, a ruggedly handsome young man asked for my phone number. The next day, I had a collect call from the work release program, which I accepted, not knowing what that was. The dude wanted to know if I would be of legal age to date when he got out. I don’t even think I responded. I wasn’t even too sure about Lamar on our first date. He wanted to take me to Atlanta and it occurred to me, I didn’t know him – all I knew was his mother sold Estee Lauder and left me Tootsie Rolls and Reese’s in my work locker. Sure, she seemed like a good person, but this could be a perfect ploy, hiding behind candy. Don’t judge me. I am guilty of watching some pretty trashy reality T.V. in my time. But there I was, angry about the girl who got the final rose, so I had to find a group of like-minded people to vent my outrage to. Eventually, we created a private group where we could share more personal happenings besides just who we thought should be picked for the fake happy ever after. A few of us even got together, which involved two flying in to Georgia, one from Canada (she had a kayaking event at Lake Lanier) and another from Texas. The rest of us were from Georgia. We met for lunch in Helen. I didn’t tell Mama. Lamar wasn’t so sure about it when he dropped me and a year-old Cole off for the get together. He suggested staying with me, just in case, then reconsidered when he realized he was out-estrogened. “What if they had been crazy people?” Mama said when I confessed where I had been. Again, I get it. Really, I do. My track record has brought some whackadoodles across my path. How could it be awkward? That’s what we essentially were. Pen pals, online, except instead of waiting for the mail to bring us a letter, we can send an email or post a private message or even start a thread and find out how they are doing, share something with them and let them know we’re thinking of them. Over the years, some of my dearest, closest friendships have been nurtured online, with wonderful, incredible people I haven’t had the privilege of meeting – yet. My friend, Paula and I met when I entered a writing contest on her website. She and I started corresponding via email and have been friends ever since. That was close to 10 years ago. Another dear friend is here in Dawsonville. While I haven’t had the chance to meet him in person yet, it was a chat conversation between us that made me realize, a lot of the friendships I hold dear, are with people I have never met. “Do you know them, like know them in real life and not just on the computer?” Lamar used to ask when I would tell him about someone. He no longer does because he realized, you don’t have to necessarily have that flesh and blood meeting to know someone. 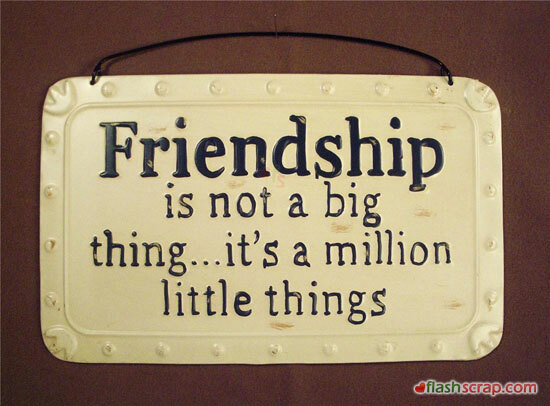 I would venture to say many of my online friends have been just as meaningful as those in person friends. The irony of it is, the friends I know “in real life,” I seldom see and when I do get to talk to them, it’s usually on Facebook. Our schedules are so different and our lives are so busy, it’s hard sometimes to find a window of time to get together. Usually, if one of my friends here needs me, they message me on Facebook. Or as my real life friend Yolande does, tweets me. The Twitterverse knows she is still, two years later, waiting for me to clean my house so she can come visit. A friend – one I have known online for 10 years – messaged me one day. Her job was going to have her possibly coming through Georgia this year. She knew as soon as she heard she wanted to tell me. I hope I do get to meet her. I hope one day I get to meet all of my online friends – as she put it, we’ve all been through too much together not to meet. And it won’t be awkward at all. If anything it will be just old friends, getting together. Just this time, it will be in person.